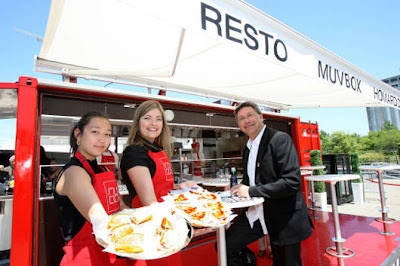 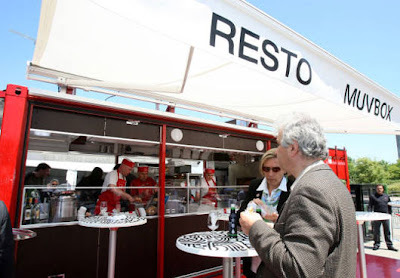 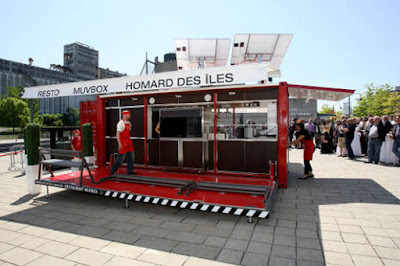 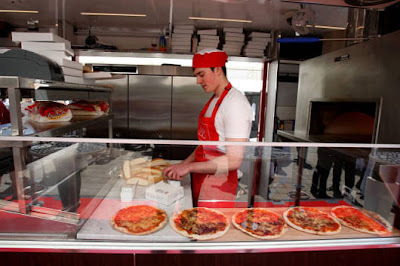 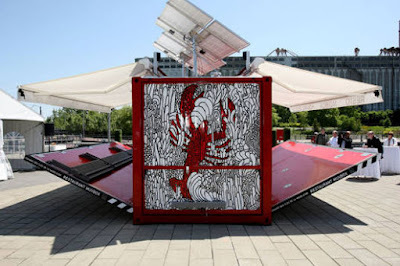 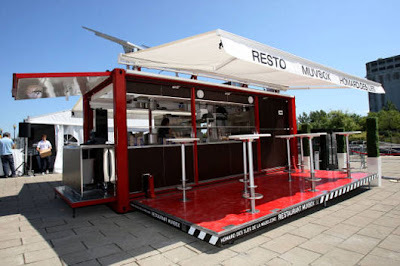 Muskox is a great shipping container box design inspiration of Fast Food Restaurant that was constructed from the old container and powered by solar energy that can generate 40% of the restaurant energy needs and the remaining 60% is filled by propane to full the kitchen appliances. 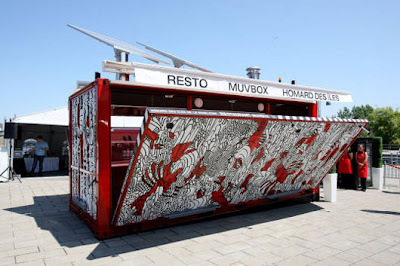 Muskox, the company behind this portable restaurant concept, had their interiordesign and architecture done by Sid Lee, in collaboration with Ædifica. 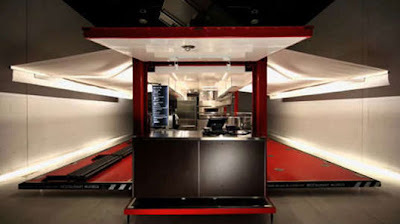 The interior featured modern kitchen set with seating for 28 peoples. 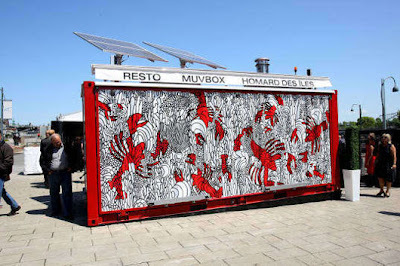 The Muskox is a sophisticated design which recently emerged from Montreal, Canada and is a shipping container that opens up into a full-fledged mobile, outdoor fast food restaurant, the floor is made from recycled tires and made using reused 20-foot shipping container, the muskox can be vanishes back into the cube and redeploying early the next morning in less than two minutes.